If you are thinking of selling your home, now is the time as the market is hot for sellers. I can assist you in determining the correct price and also what is needed to put your home on the market. I can also assist with staging your home. I have a keen eye for what is needed to sell a home and make it desirable to buyers. Taking into account low inventory, being Spring and still very low interest rates, it is a perfect storm. 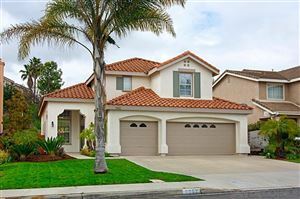 Call or email me if you need some advice on selling your home in Rancho Penasquitos.I also sell homes in many other areas, so don’t be shy in asking me. Looking west over Rancho Penasquitos, a great view from Hilltop Park, near Black Mountain,.